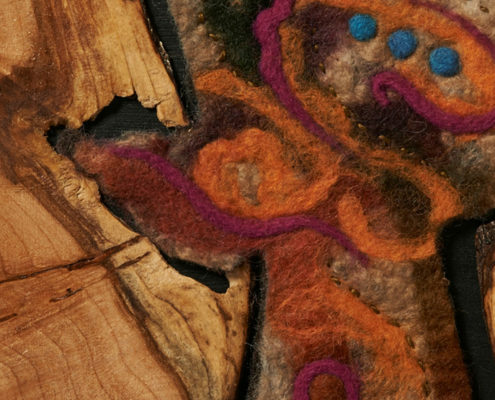 Hand crafted live-edge cedar with felted wool. Trees, regal beings with knowing grace, seem to exceed our limited knowledge of the world. Their lives span many human generations, but their sturdiness remains vulnerable to the finality of an ax. This contrast between strength and fragility represents our own vulnerability. I envision an inner world of the tree which takes on human characteristics and feelings, and might include the great wisdom that time affords, the sweet sadness that all things must pass, and the joy of simply being in this moment. 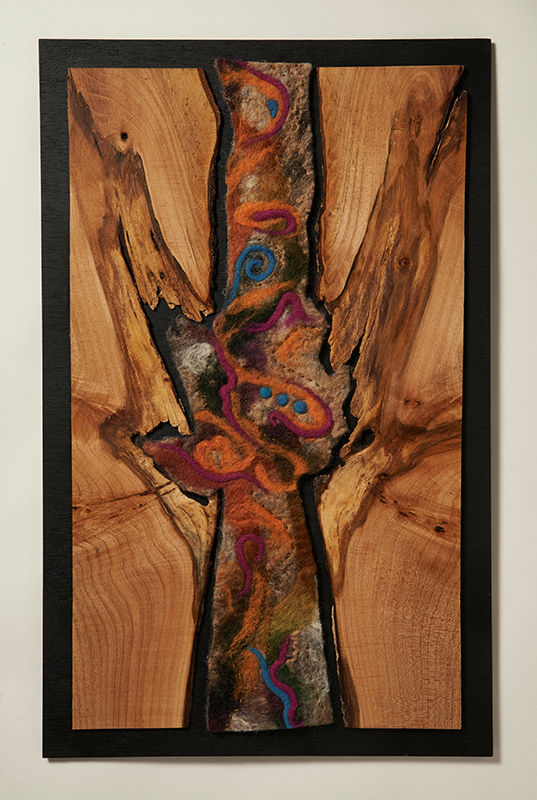 Life Within was crafted by sawing a slab of live-edge cedar into mirror image slices. 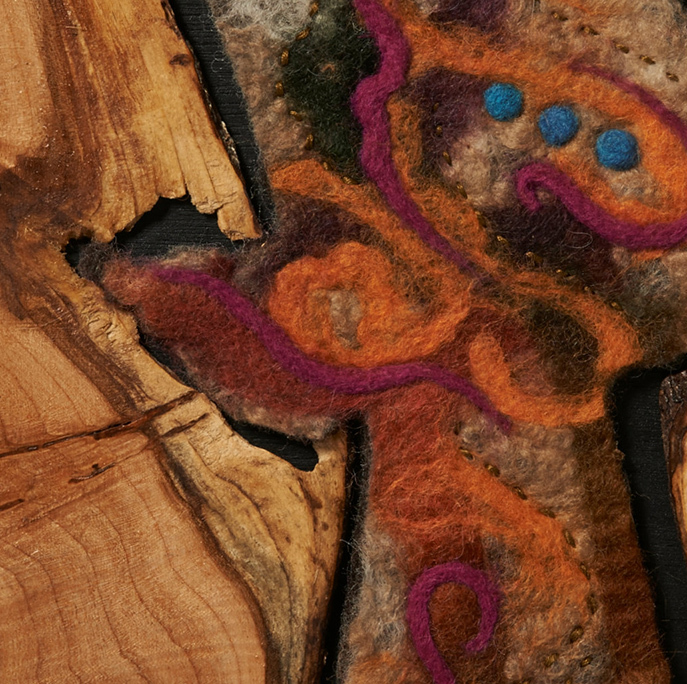 The soft interior of felt was created from wet and needle felting and finally hand stitched. 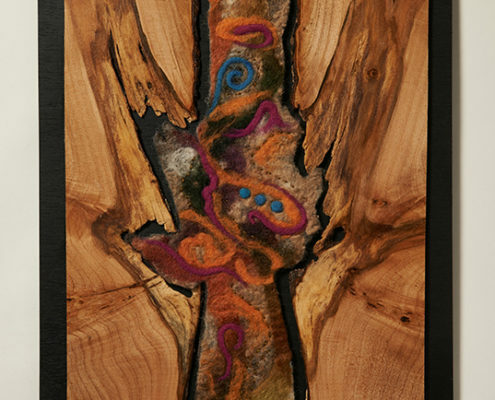 The piece is 15” wide by 24” high.